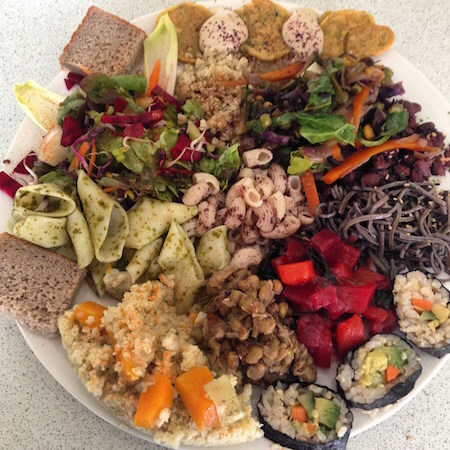 Foods to Heal Your Mind, Body & Soul Dine & Learn Retreat Experience. Prestwich, Manchester, (5 mins from M60 motorway, Junction 17). The full address will be emailed to you upon booking. Foods to Heal Your Mind, Body & Soul – Dine & Learn Retreat Experience. These workshops are a wonderful way to be able to see what foods you could be substituting to feel healthier on a mind, body & soul level. You will get to eat them and talk about how you can incorporate them into your life easily and effortlessly. The investment for each workshop is £55 (normally £75). This includes a full lunch with all the health promoting foods which are vegan, wheat/gluten-free, dairy-free, refined sugar-free etc. and all the recipes and notes are emailed after the workshop. This workshop includes lunch and you will be e-mailed all the information & recipes so you can just relax, chat and eat in a sociable and uplifting environment. If you are serious about improving your health and want to heal on a mind, body & soul level then this enlightening workshop is for you. You will get time to talk about your health requirements, learn about and eat healthy alternatives that will be practical and realistic for your lifestyle.It will be a small intimate group of 4 – 5 people maximum where you can learn, share and eat in a peaceful and uplifting environment. Ideas for lunches/dinners/snacks etc. which you will eat as part of the lunch, including easy to make vegan sushi (with brown rice, other healthy ingredients, and there is no raw fish). Whole grains (wheat & gluten-free), helping to increase energy and improve digestion. Vegetables and sea vegetables that could help improve digestion, increase vitality and energy & may prevent/heal illnesses. All workshops and 1-2-1 cooking sessions are gluten free, vegan, suitable for coeliacs, diabetics, dairy free and refined sugar free. Includes full meal & ideas for a better quality of life. Learn about foods to increase energy, promote well-being, prevent and heal illness, balance weight and glow with health and happiness. Healing for mind, body & soul. Details from the workshop are e-mailed with recipes and health information. Keep checking for more upcoming workshops. If you want me to put on a workshop to suit you or arrange 1-2-1 healthy cooking session or with a friend/colleague then please let me know.